Home > Settlement Effected By a Seat Belt? When it comes to personal injury cases, especially car accidents and auto accidents, there are scenarios in which a victim may be telling the truth but the accident reports say otherwise. A perfect example of this is the issue of wearing a seat belt vs not wearing a seat belt. If the investigating office checks the box that the driver or passenger was not wearing a seat belt during a car crash this is true, correct? Not always. There are many car accidents that are severe. In fact, some of these accidents will cause the seat belt to unlatch because of the force of the crash. In addition, there may be a defect in the seat belt design that causes it to unlatch in a car accident. Even if the vehicle is a newer model or one without a defective seat belt, there are scenarios in which a driver will hit the seat belt latch and cause the seat belt to come off during or after the accident. Unfortunately, the investigating officer may not be aware of everything that happened during the accident. It is also likely the case that the passenger does not know everything that happened during the accident. We ask all our clients to be completely honest when discussing the case with us. If they are 100% certain they had the seat belt on prior to the car accident, we will provide expert opinion that a seat belt can be dislodged in an accident. What Happens When a Seat Belt Is Not in Use? While driving some people do not wear a seat belt. This is unfortunate and against the law but it happens. Over time, it has been proven that seat belts save lives and lessen injuries. It is important to note that just because you were not wearing a seat belt, it does not mean you cannot file a personal injury lawsuit or claim. Before making any assumptions, please contact us at 1-800-991-5292. 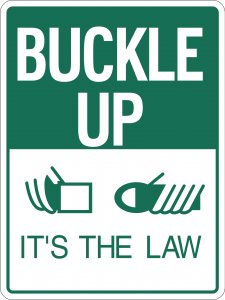 If you were in a car accident or car crash without a seat belt, the settlement is often less. This is due to the fact that California operates under the doctrine of comparative-fault. This means that if you are partly at-fault in an accident, you can still file a lawsuit for that portion of the damages you are not responsible for. A design flaw in the latch can cause a seat belt to come unhinged. 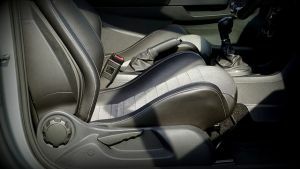 In the event that crash injuries result, in part, from seat belt failure, this can be investigated from a seat belt design or manufacturer defect perspective. Investigation into the cause of the separation of the tongue from the buckle can be used to determine the probability that the victim was wearing a seat belt that unlatched during the accident. If proof within a specific degree of certainty is provided, it will be possible to refute the defendant’s argument for reduced compensation due to comparative fault. If you have been injured in a car accident, call David Azizi 24/7 to setup a free consultation without obligation. There is never a fee unless you win. You can reach David toll free at (800) 991-5292. He is available to review your case on nights and weekend too. David has used his knowledge of the law and his skill in the courtroom to help clients receive the compensation they deserve, winning for them 98 percent of the time. He will investigate the circumstances of your accident with attention to seat belt defects if warranted.